Posted in: Daily Posts. 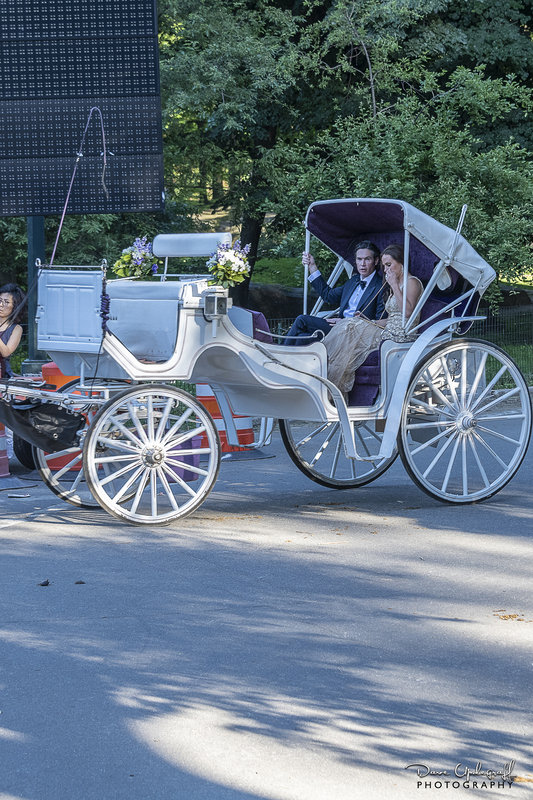 Tagged: Carriage Rides, Central Park, New York City, Sea Of Humanity, Walking in New York. Happy Thursday and Happy Summer Solstice day! After walking many blocks and bumping into people I started to discover just how out of shape I am. I have taken several bike rides and I have walked some the last few weeks but unfortunately I was not prepared for all the walking we did. I also need to put a warning here that at the end of this post there is an X-Rated image. You have been warned if you choose to go on with the Blog. Also remember you can click on any image to make it larger and reveal more detail. No pun intended. 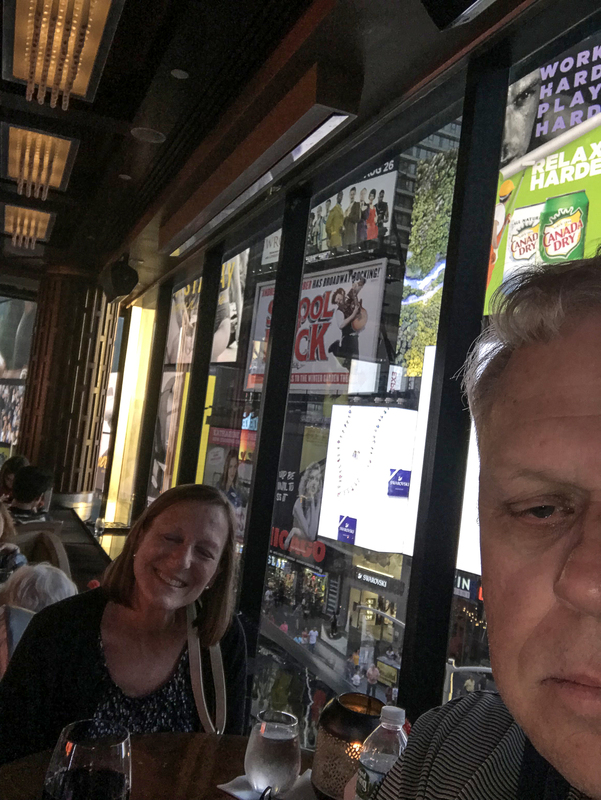 The only thing we had on our agenda Thursday was a carriage ride through Central Park which was supposed to start at 6:00 p.m. Of course we had to walk a number of blocks to get to the place we were suppose to pick up the carriage only to find out we were at the wrong address. There were several carriages there but they were not the one we wanted. 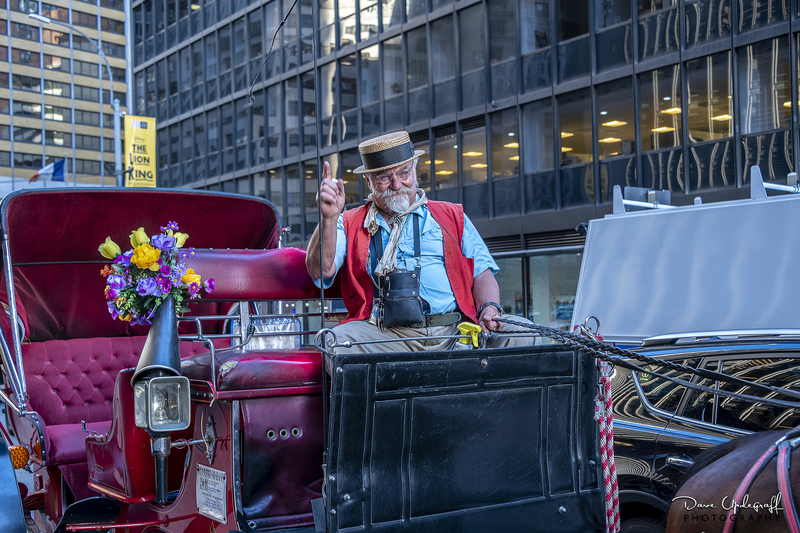 One of the drivers looked at our ride information and talked with some of the other drivers that were assembled there and then figured out who we were supposed to be with. He then called our guy and gave us directions to find him. It was only a few more blocks but I was tired of walking. I gave the guy a nice tip for an effort he didn’t need to do. This wonderful gentleman is John (I forgot his last name) and his horse Eli. Eli use to be a race horse, which most of the carriage horses are and when they retire from racing they are used for carriage rides. It was easy to tell that Eli was not just a horse to John and that there was a special bond between them. 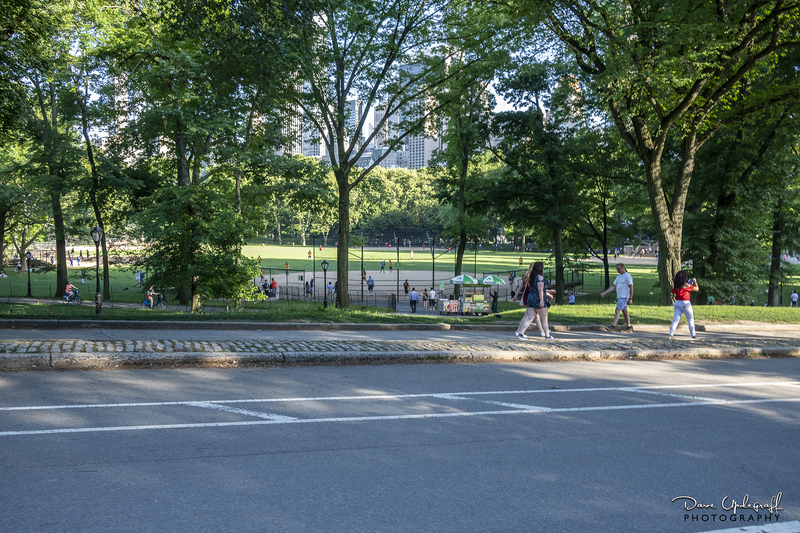 John is very knowledgeable about New York and specifically Central Park. We were fortunate to have him as our guide. 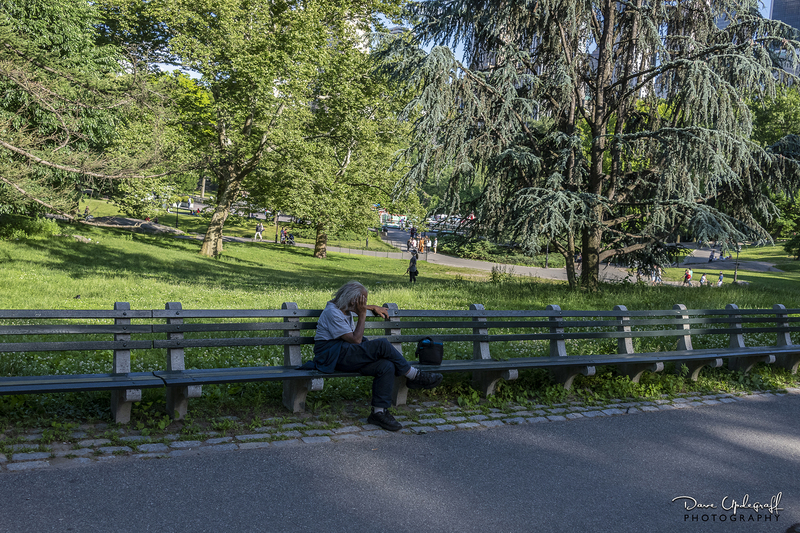 He pointed out so many historical and special things about Central Park, most of which I have since forgotten. But Jeanne took in every word and asked a lot of questions. One thing John said did stick with me however. 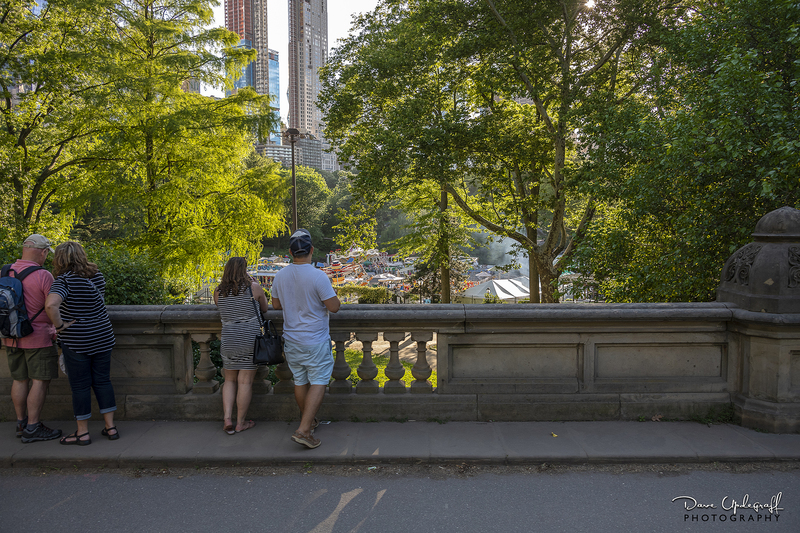 He said, “if you didn’t have a Central Park, you couldn’t have a New York City.” There had to be a retreat from the Chaos and strife of the city. 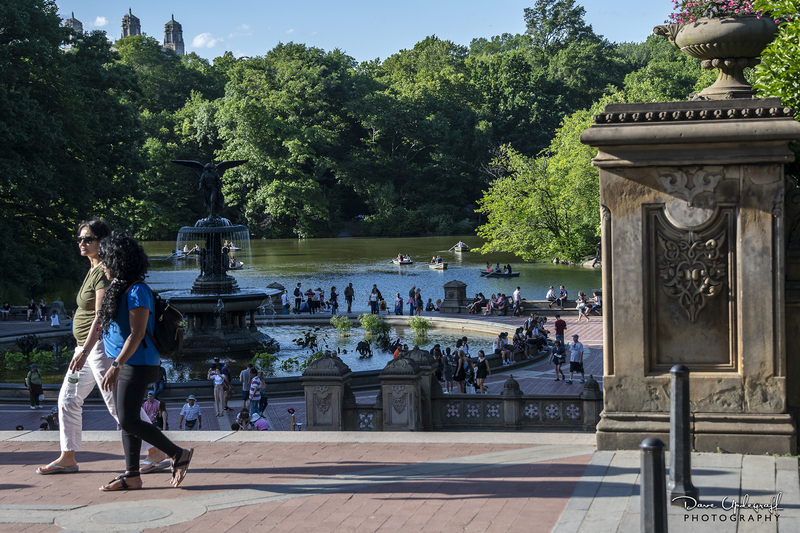 Even in the beauty of Central Park there is plenty of human suffering. This pond where people were boating and wading in seems like any other pond in Iowa. Lots of people were walking around the pond and sitting on benches. 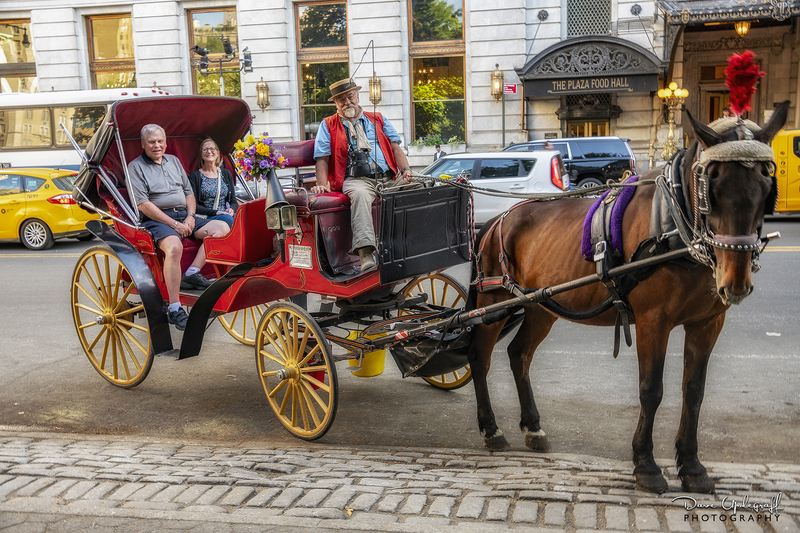 John said that most of the reputable carriage ride businesses wouldn’t be operating on Friday because of the heat and humidity that was forecast for New York. He and Eli were taking the weekend off and relaxing. A couple of baseball diamonds in the park. There were two games going on and it looked like from our vantage point like any other little league baseball game. Not all that many people in this image. 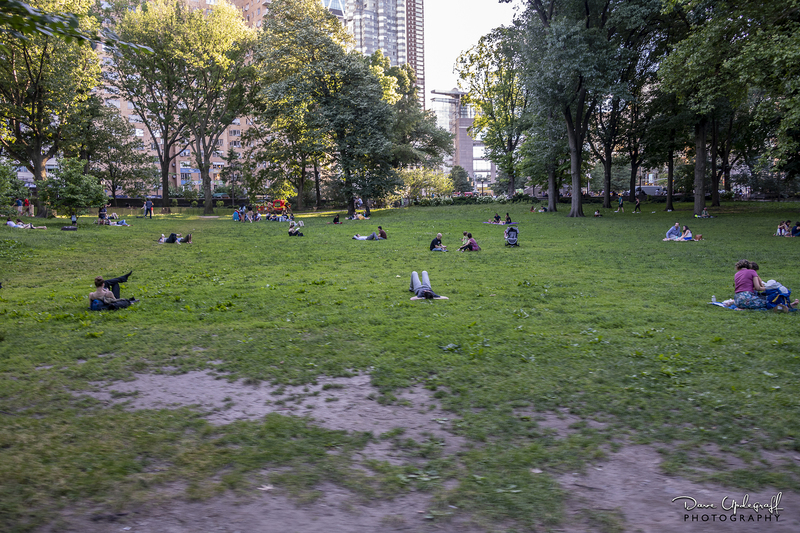 I never saw the crush of people in the park that we saw everywhere else in the city. Most people were just relaxing, reading, or sleeping. There were a fair amount of people jogging or riding their bikes through the park but again it was not the huge amount of people we saw everywhere else. I was surprised to see this carnival in the park. I couldn’t get a good view but it looked like there were a lot of people with their kids enjoying the rides and other amusements. 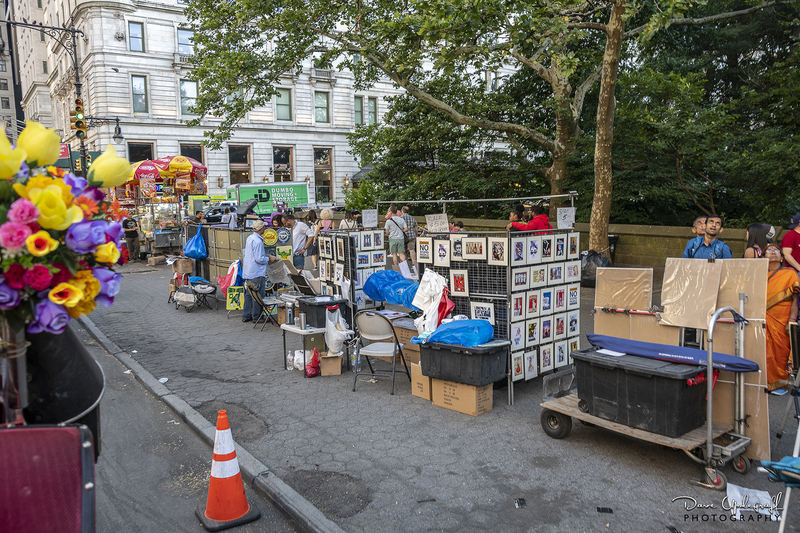 Some of the street vendors that line the city streets. When our ride was finished John asked us where we were staying. He said, “I can’t take you all the way because we’re not allowed up there but I can get you close.” We were grateful because it was going to be a long walk back to the hotel and it was hot and the streets were crowded. We finished the evening with a nice dinner at the hotel and some even nicer wine. It’s much more enjoyable watching the people from one story up with air conditioning and a glass of wine.